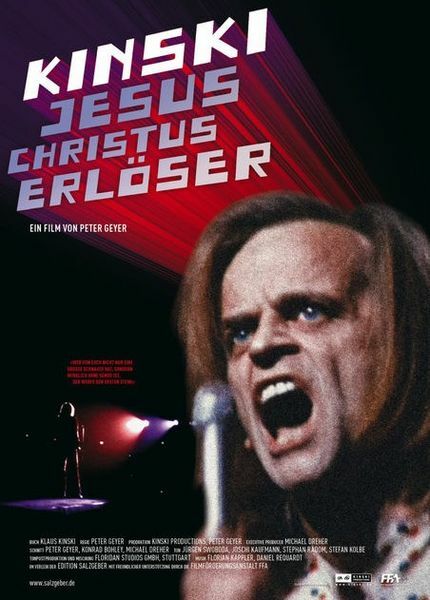 Description: Klaus KInski’s interpretation of the new testament as reformer in a solo theater-happening in Berlin,1971. At times, Kinski’s reputation as a provocateur seemed to overshadow his prowess as an actor. Peter Geyer’s new full-length documentary “Jesus Christus Erlöser” seems to support the notion that prevarication was an integral and inseparable part of the actor’s work. 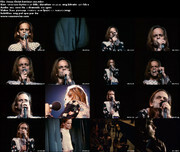 Geyer’s film documents Klaus Kinski’s November 20th, 1971 theatrical reading at Deutschlandhalle in Berlin. It was on this evening that the golden-locked, hippy-garbed Kinski engaged an audience of thousands in a reading of a 30 plus page interpretation of the story of Jesus Christ.